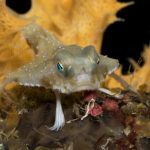 As a professional aquarist working at a coastal aquarium, I field a lot of calls from local fishermen, SCUBA divers, fish collectors, or just people out for a walk on the beach looking for help identifying some fish or other marine creature that they’ve come across. Often the conversation begins with something like: “In all my years of fishing, I’ve never seen anything like this.” Often it ends with something like: “Yeah, that’s just a lizardfish. They’re actually quite common, but they spend most of their time buried in the sand and, around here, they usually don’t get big enough to catch on rod and reel.” Of course my ability to identify the animal in question depends in large part, on the quality of the description or photo provided by the inquirer. 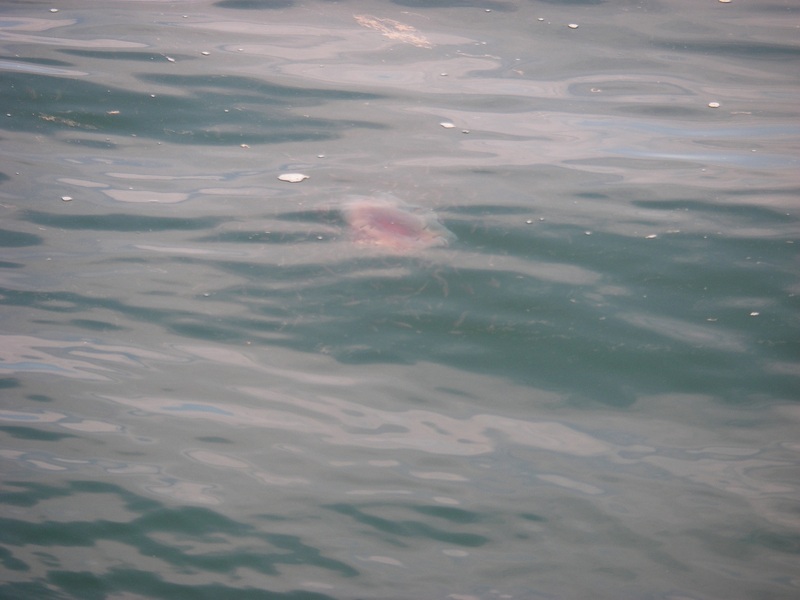 I recently received the following photo, asking if I could ID the fish that were aggregating around the lion’s mane jellyfish at the center. Obviously it would be impossible to determine the species from the photo alone, however, I’ve spent enough time in the water with lion’s mane jellies to know that juvenile butterfish, Peprilus triacanthus, commonly take refuge under their bells and among their tentacles in much the same way that a clownfish takes refuge in the tentacles of a sea anemone. Since I’ve never observed any other species of fish in our area exhibiting this behavior, I was, in this case, able to provide a probable identification. 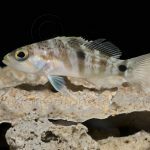 Local divers often tell me about the exotic tropical strays they encounter on their dives, and in some cases they are able to give me a description that is sufficiently detailed that I can ID the fish with some degree of certainty. However, in some cases, the most descriptive term they can come up with is “really colorful”. When the response to my next question: “What colors?” is met with a long pause, or something like “Every color of the rainbow”, I resign myself to the fact that we are not going identify this fish. Divers, snorkelers, and fishermen in New York are easily impressed with any splash of color in our otherwise drab temperate marine environment, and since they are often out in search of much larger fare, like striped bass, bluefish, and fluke, these colorful strays may just be something they noticed in their periphery, the details of which will rapidly fade. Then of course, there is the fishermen’s exaggeration factor that can impact details like size and coloration and for which there is a perfectly reasonable explanation: when we are out on the water in search of fishes, whether it’s for dinner, sport, or our aquarium, we get very excited. 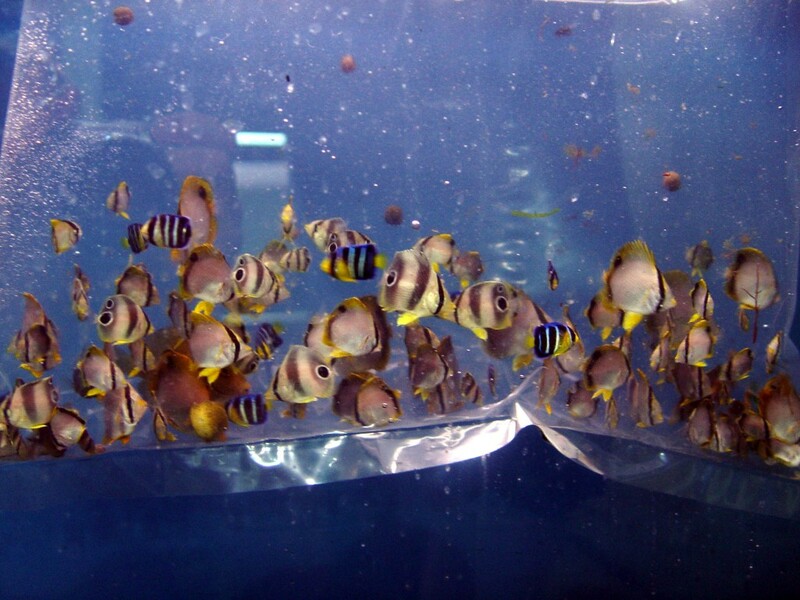 In addition to coloration, there are a number of other, often more important characteristics that can be helpful in the identification of a fish, such as body shape, fin shape, fin placement, and swimming motion. Of course that last one isn’t very helpful if the fish is already dead. 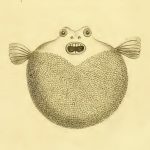 My favorite response to my question about body shape is “fish shaped” after which the caller receives a long-winded lecture about how the word “fish” doesn’t really mean anything – it’s just a word we use to refer to any of several classes of vertebrate animals that happen to live in the water and breath with gills as adults. This is followed by an explanation of fish body shapes and useful descriptive terms and their definitions. The terms include: laterally compressed (flattened from side to side), dorsoventrally compressed (flattened from top to bottom), fusiform (torpedo shaped), deep bodied (tall from ventral to dorsal surface), and elongate. At the end of my lecture, if there is still a person at the other end of the line, they are much better equipped to give me a satisfactory description of the next unidentified fish they come across or, more likely, they decide it would be a lot easier to just snap a photo and e-mail it to me, which of course, is a lot easier for me as well. 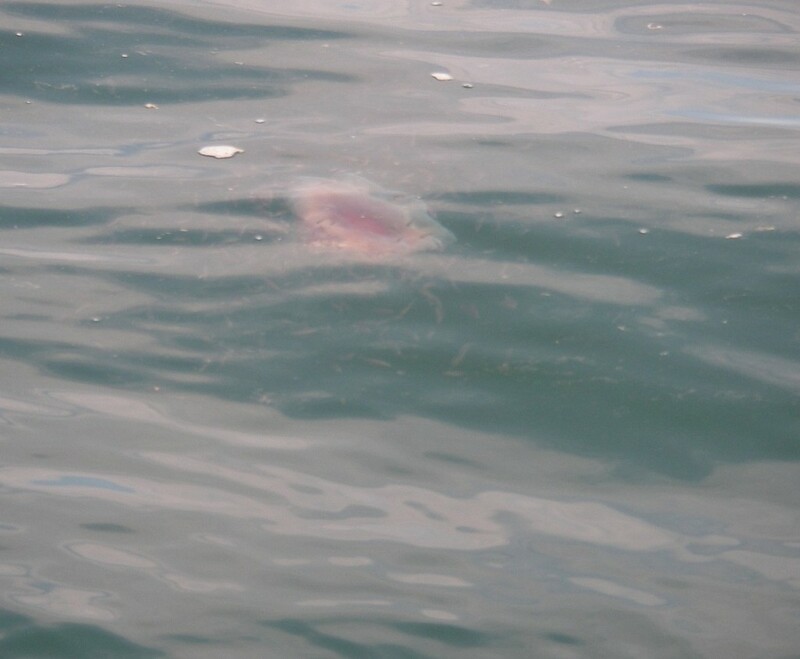 As another side note, before I get to the actual point of this post, a few years ago when lionfish first started showing up on Long Island and some news agencies picked up the story of the deadly invasion, I had a waterfront homeowner call me to tell me that there was a lionfish living under his dock. Skeptical from the start, I asked him to describe the fish. He told me it was striped and had very large fins. It seemed reasonable so far. Then I asked him how long it was. He told me it was eight inches. 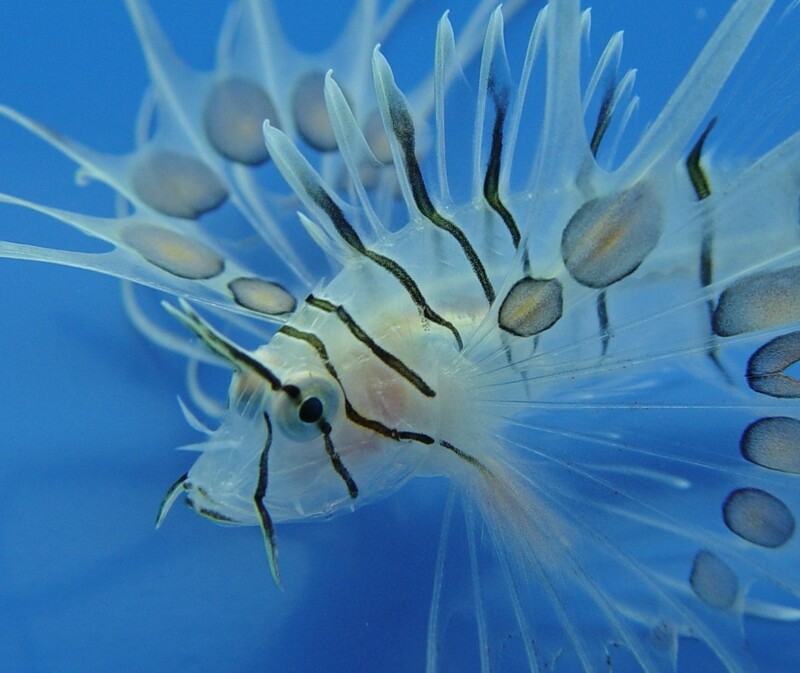 As I had never seen a lionfish this far north that was more than two inches long (in New York, they die of hypothermia before they have a chance grow much larger), my doubt began to grow. As he answered several more questions about its swimming behavior, level of activity, and the specifics of its “stripes” and fin shapes, I was able to determine that the fish under his dock was, almost certainly, a banded rudderfish, Seriola zonata (Vertical markings on fishes are called bands or bars, as opposed to stripes, which are horizontal). A photo later confirmed my tentative ID. I would never have thought that these two unrelated, distinctly different looking species could be confused, but as any crime investigator will tell you, never underestimate the potential for people to be oblivious to details. Recently I received a phone call from a man who I know to be a relatively experienced fish collector. He gave me an excellent description of a fish that he had stumbled across in Moriches inlet on the south shore of Long Island. It was small, certainly a juvenile, and it looked like nothing he had ever seen before. “It is reddish-purplish with a few blue spots, a long, rather slender body, and a forked tail.” I was stumped. 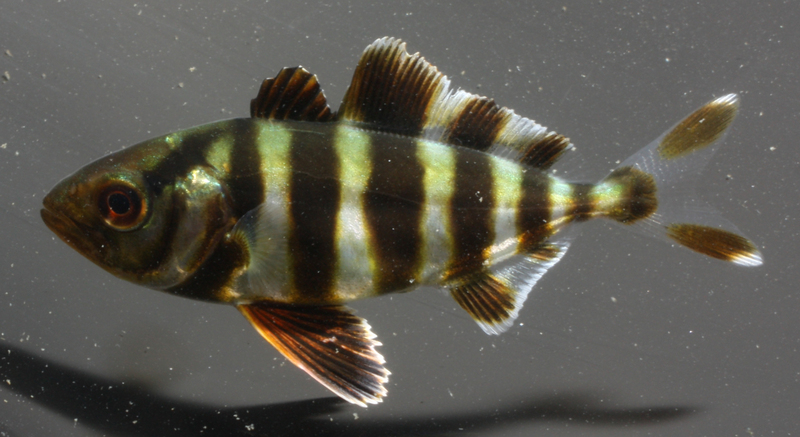 He also told me that it reminded him of a grouper, but that it was acting more like a damselfish. Then, elaborating on the fins, he added that the top and bottom edges of the forked tail were heavily pigmented. This really threw me. I could not think of anything that fit that description – at least not anything I have ever seen around here. His description made me think of tropical pelagic basslets such as the Anthias. I asked if he would be willing to bring it in to show me, and he said that he was planning on donating it to the aquarium since he was pretty sure it was some kind of grouper and didn’t want to take any chances with his other prized fishes. I tried not to allow myself to get too excited. I have been in similar situations dozens of times and almost invariably I end up being disappointed as the fish turns out to be something mundane. However, the next day I found myself awaiting his arrival with baited breath. It was like Christmas and when he arrived with his bucket, the removal of the lid felt like the unwrapping of a gift. I tried to prepare myself by planning my reaction in advance. I didn’t want to come across as disappointed if this donation turned out to be something common or undesirable, but before I was finished with my mental preparation, he removed the lid and exposed his catch. The second I saw the fish I knew what it was. I think I may have actually gotten goosebumps. 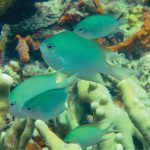 I had seen this species in abundance every time I had been to the Caribbean, but to see it here, in the murky waters of New York was thrilling. 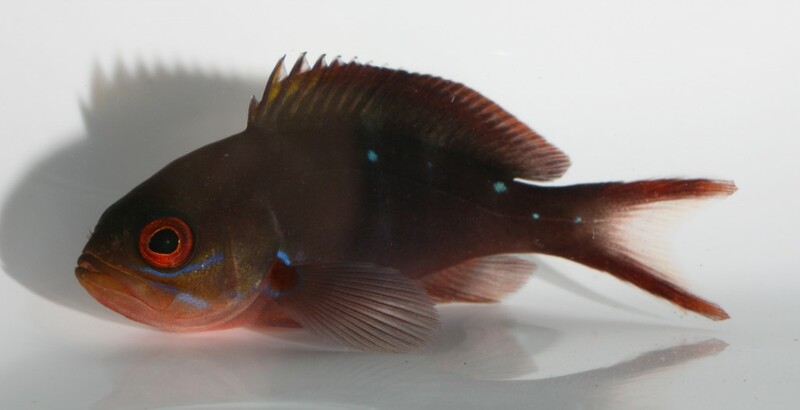 It was a creole fish (Paranthias furcifer) and, based on my research it has never been found this far north. So it is both a new species to add to my growing list of the fishes of New York State, and a range record for the species! Obviously, this little beauty is just one of the more than 100 species of tropical fishes that stray into the waters of the Northeastern United States as pelagic larvae each summer (more on that whole phenomenon in an upcoming issue of Coral Magazine), and although I encounter one or two new species to add to the list almost every year, it never seems to get any less thrilling to me. The fact that I didn’t have the pleasure of finding and catching this creole fish myself is a small price to pay when I consider some important facts in the big picture of my obsession with marine life: 1. I’ve had the opportunity to spend at least one work day every week of the summer diving and collecting fishes. 2. I ended up getting to keep the creole fish. 3. Most importantly, it helped to remind me to take these calls seriously, because although 99% of them end up in frustration or disappointment, the 1% that don’t make all the effort worthwhile. Oh, who am I kidding. The most important thing is that I ended up getting to keep the creole fish. 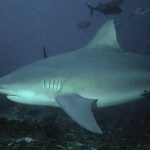 Hopefully it will be on display in the coral reef tank at the Long Island Aquarium as soon as it’s through quarantine. Great article. Creole fish that far north is a sure surprise. That’s so cool. I’ve never heard of them up here and every summer people bring all sorts of weird stuff into the stores I’ve worked at (even juvi Mahi Mahi). How big was the Creole it’s hard to tell from the pic? He was about 1.5 inches at that point, but he’s growing fast. Thanks to my Friend, Bob Janke, who caught and donated the Creole fish. He was also nice enough to donate a banded butterflyfish (the most useful of the Atlantic butterflies for Aiptasia control), and a whole bucket full of foureye butterflyfish.